Is your masonry in urgent need of repointing? We offer Repointing services throughout Southampton to improve & repair masonry and brickwork, adding value to and improving the overall appearance of your property. We are friendly, skilled tradesmen offering our Repointing Southampton services to both residential customers and commercial clients throughout Hampshire, Dorset, Sussex, London and Berkshire. Repointing refers to the process of repairing or re-finishing the mortar between the bricks or stone used to construct a wall. This can either be carried out for aesthetic reasons or to prevent water damage. Our Repointing Southampton service can help waterproof the walls extending it’s life dramatically. Incorrect pointing can degrade quickly. Water will find any small cracks or holes in the mortar causing damp problems and, in cold weather, the water can freeze. If the trapped water freezes it will expand and will quickly compromise the integrity of the wall. In older buildings, the walls are commonly solid with no cavity and built using lime mortar. These walls allow any moisture, either rain water absorbed from the outside or condensation from the inside, to escape through the mortar joints. The problem with lime mortar is that over time it will recede into the joints and need to be re-applied. If you are encountering problems flaking brickwork this is nearly always caused by the wrong type of mortar being used on a previous re-pointing job. If cement mortar is used, water soak in but not be able to escape efficiently. This is commonly misdiagnosed by as rising damp. Therefore many damp courses are installed with no need at all. The appropriate solution to this issue is to rake out the cement mortar and replace it with lime. Lime mortar is generally thought of as being soft and prone to weathering, however we can mix the lime mortar with volcanic ash, heat treated clay and other substances that will increase it’s strength. An additional problem with cement mortar in walls with no cavity is that the mortar is too hard and does not allow for enough movement. The softer lime mortar used in older buildings not only allows for this movement but also self repairs the small cracks that can appear. 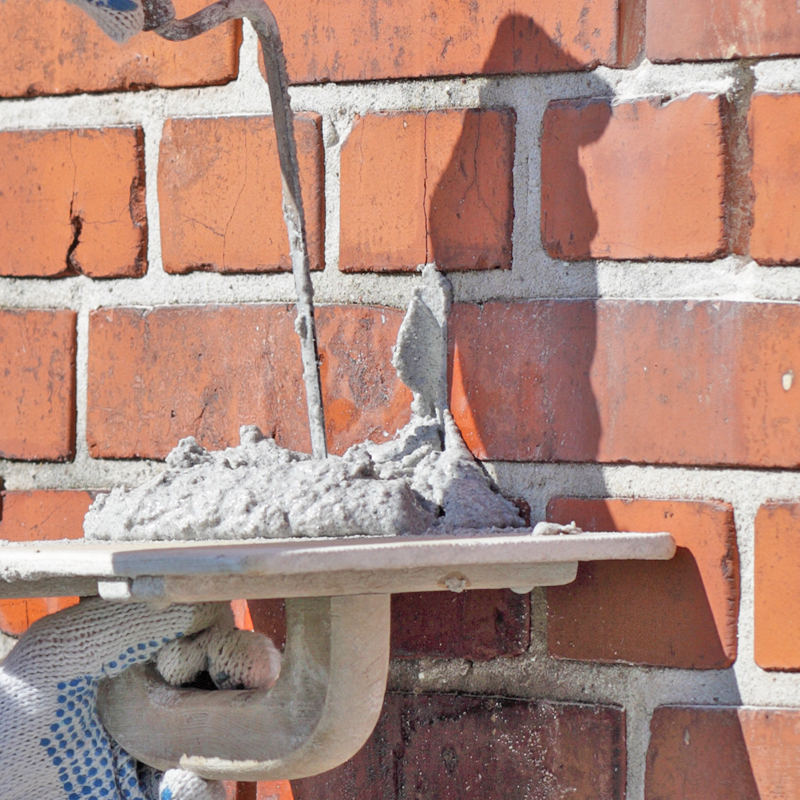 Cement mortar is therefore not only harming the wall by trapping moisture but it will also flake away due to the movement of the wall costing more money in the long run. Our professional, knowledgeable tradesmen can assess any problems you are having on any type of building and advise you on the best course of action. If you have any questions about our pointing services or would like a free quotation on any work you may require, please don’t hesitate to get in touch today.